Judge Ronald V. Swanson said there was probable cause that to launch an investigation by the Senate Rules Committee, but also referred the case to prosecutors for possible public corruption. The special master’s report, delivered to the Senate Rules Committee on Tuesday by retired Judge Ronald V. Swanson, concluded there is probable cause to launch an investigation and hearing by the Rules Committee to determine if Latvala is guilty of violating Senate conduct rules and should be sanctioned or removed from office. “The Special Master recommends these allegations be immediately referred to law enforcement for further investigation. An internal investigation pursuant to Senate Rules, referral to the Florida Commission on Ethics, and/or some other appropriate mechanism of investigation of the alleged ethics violations is also recommended,” Swanson wrote in a 33-page report. The report found probable cause for four of five specific allegations made by Rachel Perrin Rogers, the Senate legislative aide who came forward with the initial complaint against Latvala. It described a Senate in which alcohol is commonplace in legislative offices during the day, provided graphic detail of how Latvala allegedly groped and grabbed Perrin Rogers in an elevator, and how he allegedly arrived drunk from Grey Goose vodka in the Senate Majority Office on April 18. The Senate did not include any identifying information of other accusers in the report released to the public. But the surprising scope of the conclusions, which included more women than the initial complaint, is a devastating blow to Latvala’s attempt to fight the allegations. Latvala, 66, who was at the pinnacle of his power as Senate budget chairman until the allegations surfaced in November, testified before the special master and repeatedly denied ever hugging any woman in a manner that was intended to make them uncomfortable and refuted each of the Perrin Rogers’ assertions. Five other women had made accusations anonymously in a story reported by Politco but were not part of the official complaint made to the Senate. Latvala stepped down as chair of the committee and vowed to fight the charges. But the bombshell came at the end of the report, where a new accuser, now a Florida Senate employee, emerged. The unnamed woman testified that she has known Latvala since about 1995 and had a “close personal relationship” with him that was at times intimate. “I felt it was something he felt entitled to,” the report quotes her as saying. Latvala told the Times/Herald by phone that he was stunned. He said he was incredulous at the reference to the possibility that he could face criminal prosecution for allegedly trading a sexual favor for a legislative action. The veteran lawmaker said he was not considering resigning from the Senate. But for the first time, he voiced reservations about putting the Senate through a lengthy public ordeal and noted he has only one year left before being forced out because of term limits. A second complaint is pending against Latvala, filed by Sen. Lauren Book, D-Plantation, accusing Latvala of violating Senate rules by attempting to intimidate witnesses and interfering in the investigation. If he is found guilty on any of the charges, punishment could include censure or removal from office. PREVIOUS COVERAGE: As Tallahassee turns: Latvala is defiant. Accuser wants armed guard. Inquiry continues. Perrin Rogers, 35, the chief aide for Senate Republican Leader Wilton Simpson, is the only accuser who has openly come forward against Latvala. After initially making her allegations anonymously in a Nov. 3 article in Politico, Perrin Rogers filed a formal complaint with the Senate detailing her allegations on Nov. 5. She accused Latvala of groping her in a Senate elevator, inappropriately touching her in a private Tallahassee bar, and harassing her with offensive sexist or sexual comments over the course of four years . 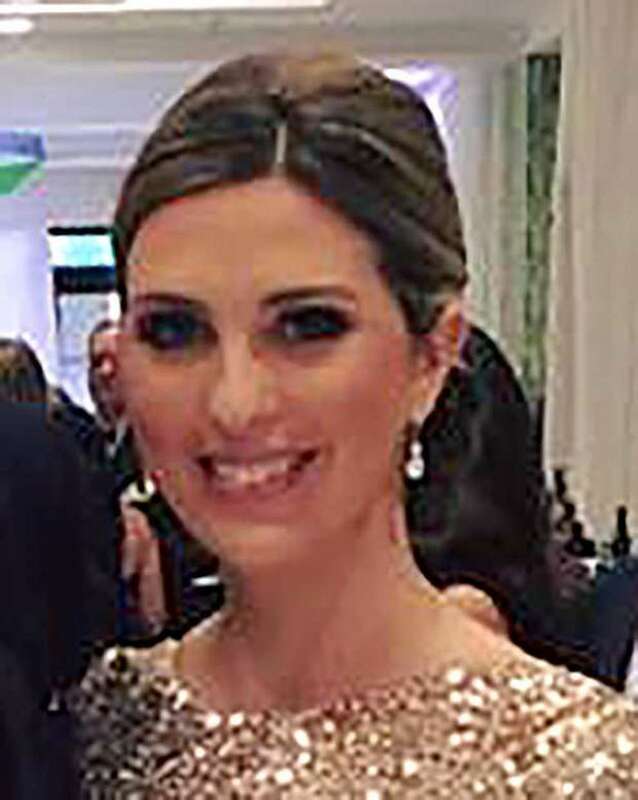 Swanson found that Latvala, engaged in “inappropriate and unwanted verbal and non-verbal behavior” with her in the 2013 and 2014 sessions; had inappropriate physical contact with her in the Governor’s Club in 2015; had inappropriate and unwanted contact with her four times in the 2016 and 2017 sessions; and accosted her in a Senate elevator on Oct. 9, in the most recent incident. 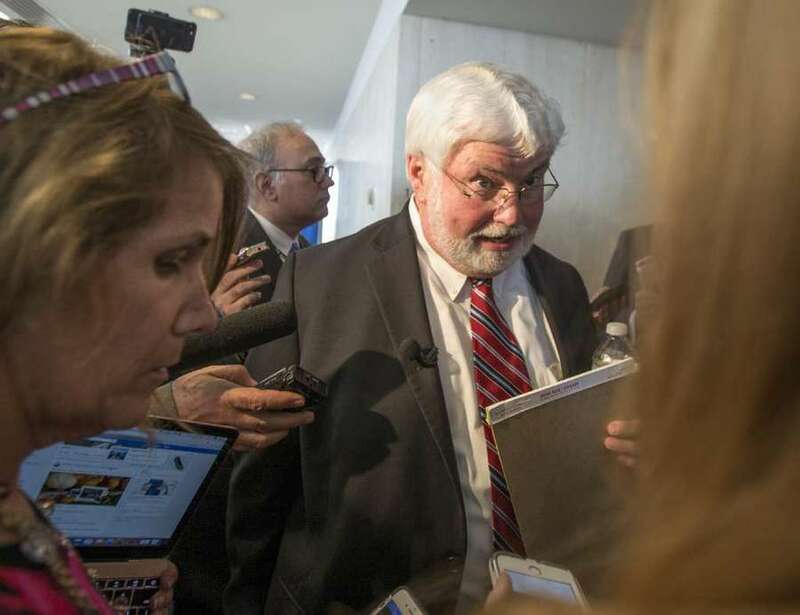 The one complaint that was not supported by a probable cause finding was an accusation that Latvala put his hands inside a woman’s blouse in April in a Senate office. Negron, R-Stuart, ordered two investigations. He hired Swanson to be the special master to look into Perrin Rogers’ complaint, including conducting interviews under oath. He hired a second investigator, Gail Golman Holtzman, of the Tampa-based office of the Jackson Lewis law firm, to interview the anonymous accusers and anyone else who had a claim against Latvala. Holtzman, an expert in defending organizations accused of sexual harassment claims, did not take sworn testimony or develop a transcript as part of her report, which will go to the Office of Legislative Services, not to Negron or the Senate Rules Committee. Her investigation, which began Nov. 14, is still ongoing, Betta said. Latvala, a candidate for governor, denied each of Perrin Rogers’ claims and called the allegations a politically motivated “witch hunt.” He and his attorneys worked to undermine her credibility by releasing text messages between him and her and between Perrin Rogers and one of her co-workers, Lilly Tysinger. Latvala also agreed to a polygraph test arranged by his lawyer and vowed to clear his name. In documents filed with the special master and shared with the Times/Herald, Latvala and his attorneys raised doubts about the timing of the elevator allegations and other claims in an effort to depict Perrin Rogers as unreliable. 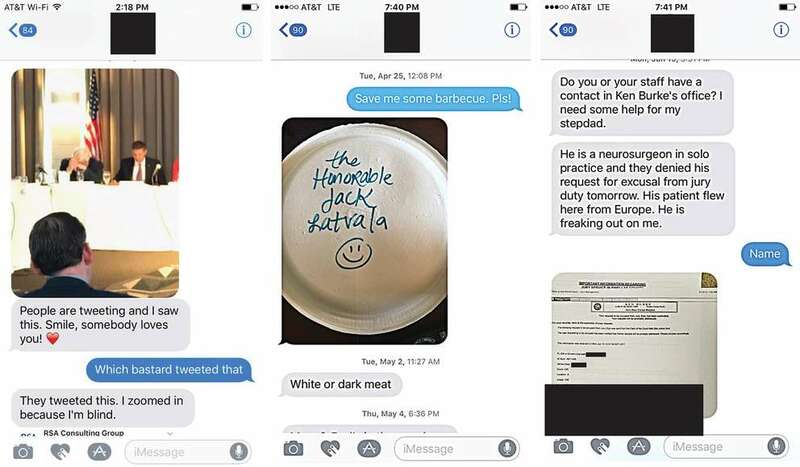 They produced text messages that showed that during the time she accused Latvala of harassing her, she asked to meet privately with Latvala to discuss legislation, kept him informed of the food available in the majority office suite, donated to his campaign, and asked him to use his political clout to get someone she called her stepfather out of jury duty. Latvala’s lawyers also presented documents to the special master that showed the person Perrin Rogers claimed was her stepfather, a neurosurgeon whom she had asked Latvala to help get excused from jury duty in Pinellas County, was her mother’s co-worker, not her spouse. And they produced affidavits from several of Latvala’s friends who attested to his character, including the testimony of lobbyist Dave Ramba. Ramba said in the affidavit that he saw Perrin Rogers crying in the bar at the Governor’s Club on the February 2015 night she alleged Latvala fondled her, but he said he did not see Latvala physically touch her. The allegations have paralyzed the Senate, already divided by a bitter ending to the 2017 legislative session. As Latvala mounted his defense, Perrin Rogers asked for a security guard and a special prosecutor to investigate Latvala. Simpson, a Trilby egg farmer, had kept a low profile when Perrin Rogers kept her identity secret, but after Latvala produced text messages over the past two years that showed that he and Rogers had a friendly relationship, Simpson blasted Latvala’s tactics. Other people got snagged in the conflict. Lillian Tysinger, a 22-year-old aide who worked with Perrin Rogers in the Senate Majority Office, filed an affidavit with the special master raising doubts about Perrin Rogers. When Perrin Rogers snapped back and accused Tysinger of being “mentally ill” and that she fears for her safety, Tysinger hired her own attorney and filed a defamation lawsuit in Leon County Circuit Court. Tampa Bay Times staff writer Steve Bousquet contributed to this report.